Special Agent Johnny Alvin Masengale and other special agents at the Seattle Field Division had been conducting a two-year investigation of a clandestine explosives factory in Bremerton, WA. On May 5, 1992, special agents and explosives enforcement officers executed a Federal search warrant and seized 6,000 explosive devices, 300 pounds of explosive chemicals and large quantities of miscellaneous components. Because the explosives were unstable and a potential safety hazard, the agents decided to destroy them quickly. The following day at Fort Lewis, Agent Masengale accompanied by ATF explosive enforcement officers and an ATF chemist, divided the explosives into smaller groups for destruction. As Agent Masengale prepared one of the "shots," it prematurely and spontaneously detonated, causing 80% of his body to suffer second, third and fourth degree burns. Agent Masengale was immediately transported via helicopter to St. Joseph's Hospital in Tacoma, WA, and later to the burn unit at Harborview Medical Center in Seattle. He died approximately 12 hours later. ATF special agents later arrested the suspect who had manufactured the seized devices. He pleaded guilty to the illegal manufacture of explosives and received four years imprisonment. 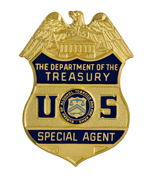 Agent Masengale joined ATF on March 26, 1989, and was assigned to the Seattle Field Division. He carried badge #646. Ironically, Agent Masengale had been transferred from the explosives group to a firearms group several weeks before his death. He had volunteered to participate in the destruction as a favor to his former group. The local press carried this quote from Agent Masengale's supervisor, Jack Seabrook, "I guess we feel if it could happen to John, it could happen to anybody, because he was super cautious." 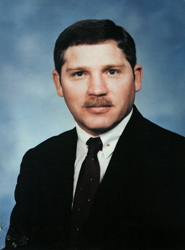 Agent Masengale was recognized in 1990 for a Special Act Award for his investigative contributions to four major explosives investigations involving seven defendants. Prior to joining ATF, Agent Masengale served on the elite Explosive Ordnance Disposal team of the U.S. Air Force. During his 12-year career, he was the recipient of several medals, including the Air Force Commendation Medal (1985) and the Air Force Achievement Medal (1987). Agent Masengale graduated from the University of South Dakota with a Masters Degree in Political Science, and obtained his undergraduate degree from Troy State University, AL. Agent Masengale was born in Glendale, AZ. He was survived by his wife, Lois and their son, Larry.